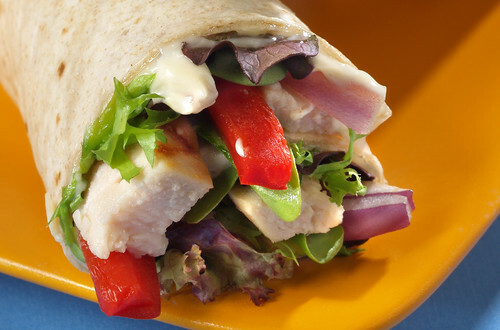 A wrap just isn’t a wrap until you add Hellmann’s® Mayonnaise. 1 Spread Hellmann's® 1/2 The Fat mayonnaise-type dressing on tortillas. 2 Layer chicken, red pepper, red onion and salad greens down center of each tortilla. Roll and fold the filled tortillas.